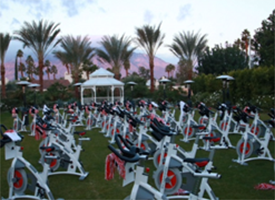 RED Company’s unwavering commitment to our mission is what sets us apart. It is the how and why of a successful meeting/event. Success is in the details, from a signature cocktail to the transformation of an empty soundstage into a glamorous corporate celebration. 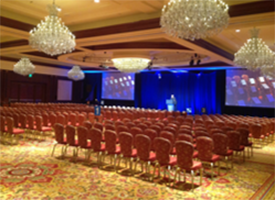 the key ingredients to transform a meeting or event into an experience to be remembeRED. 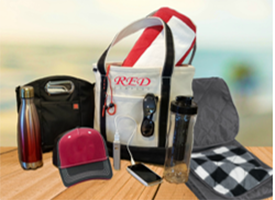 customers attention with branded promotional products, apparel, swag and corporate gifts. With 25+ years of impeccable service and flawless attention to detail, RED‘s service-centric, one-stop shop capabilities result in a seamless, turn-key process for your program, meeting, event and/or, project on time, on budget, on brand, and on message. Our team is prepaRED with a toolkit of power-full skills that go hand-in-hand with our full-service capabilities. We are committed and available 24/7. We believe in not only a Plan B but a Plan X, Y and Z. We are with you every step of the way. We share your vision and objectives. We become an extension of you and your team. We believe every touch point should be by design and with purpose. We provide budget transparency, cost savings and we have mad negotiating skills. We are nimble, adaptable and scalable. We are the best at exceeding expectations and creating magic. We transform ordinary events into extraordinary experiences with our creative attention to detail. We believe that the success of a meeting, event, or program is our service-centric, one-stop shop capabilities coupled with our meticulous attention to the details. 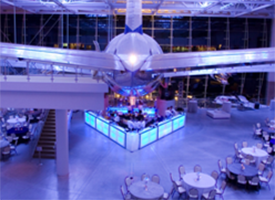 From a signature cocktail to the transformation of an empty sound stage into a glamorous corporate celebration, from themed menu offerings to a favorite nostalgic character flying in from 100 feet above, our goal is to turn every program into an experience to be remembeRED.